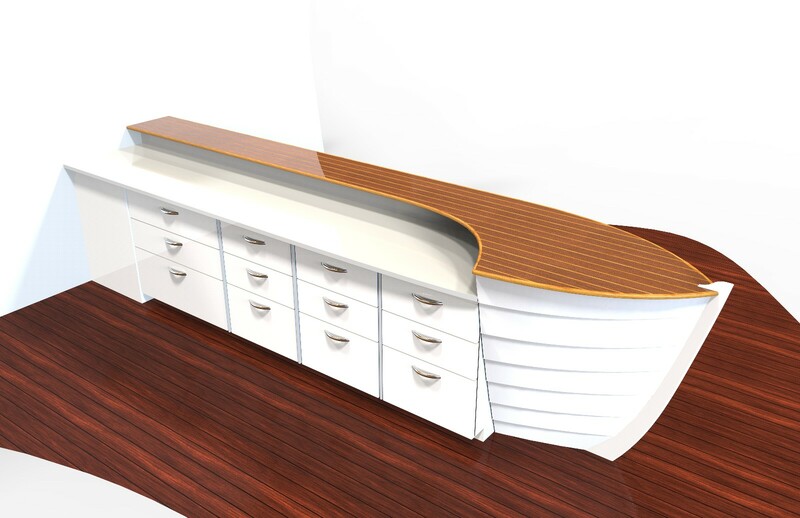 CLC has always had a brisk sideline in custom design, CNC-cutting, fabrication, and repair. 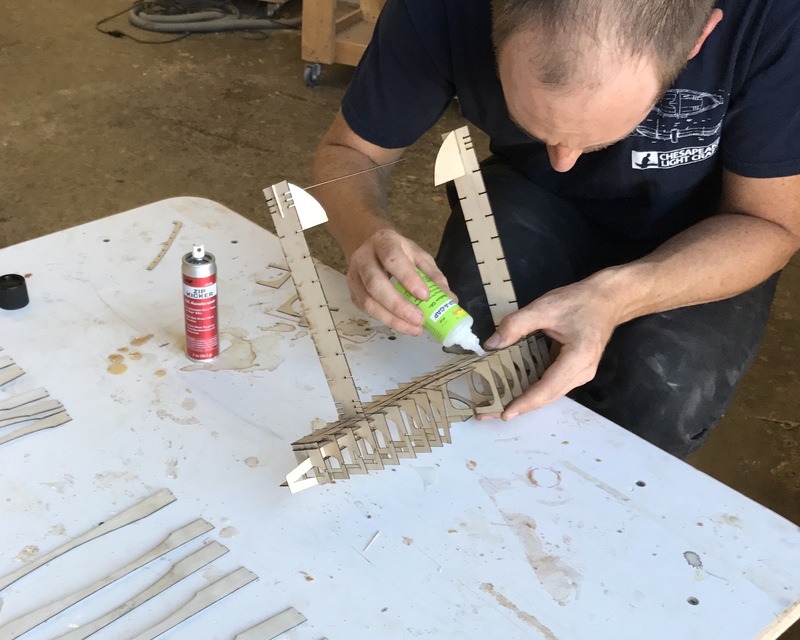 In addition to shipping thousands of our own kits each year, we draw on a deep well of design, building, and manufacturing expertise to provide a range of services on custom projects. 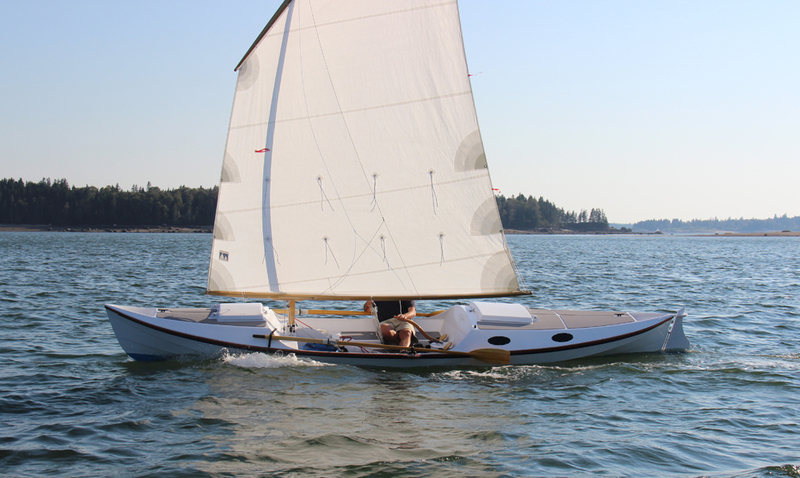 We've built multihull foils, airplane parts, pickle ball rackets, and even crash-test dummies. 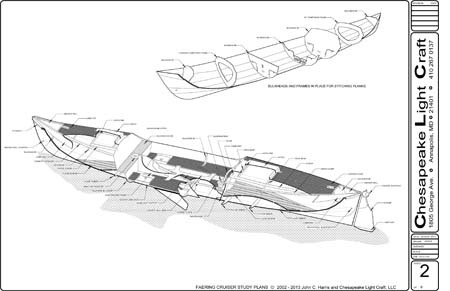 Learn more about our capabilities here. 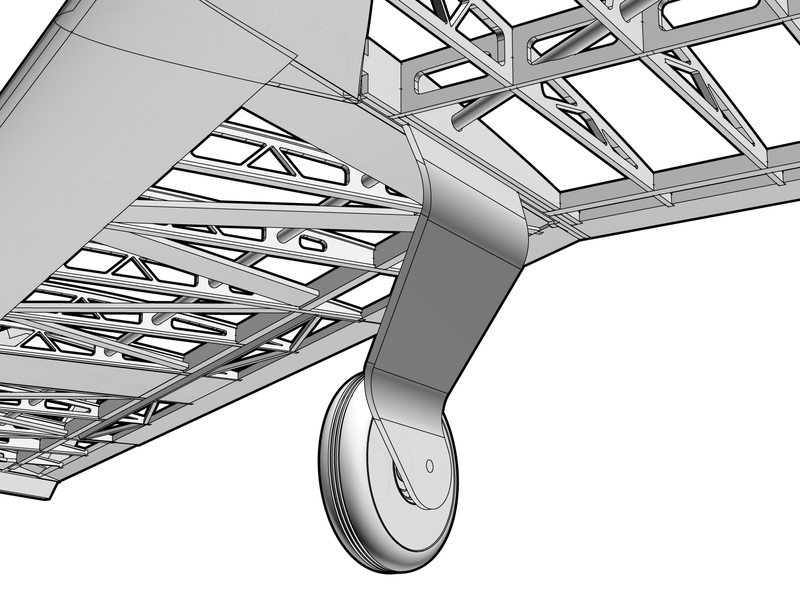 Scroll down for a selection of cool stuff we've done over the years! 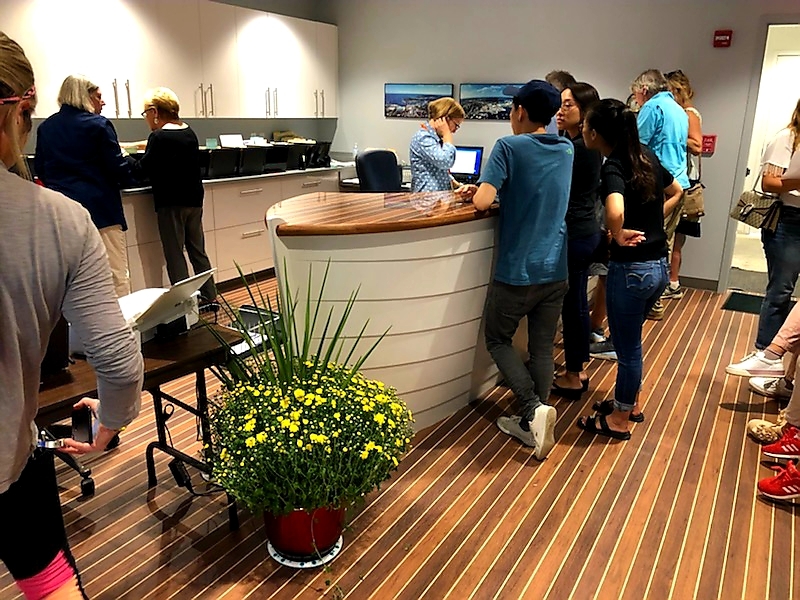 If you make it to one of the Annapolis boat shows this October, stop in the new boat show offices at the end of Ego Alley and check out their reception desk. 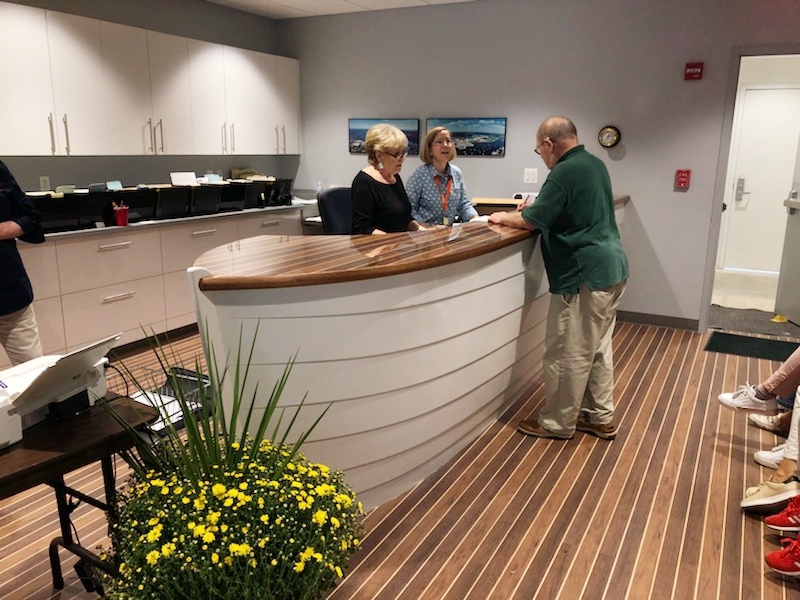 The desk was fabricated here at CLC. 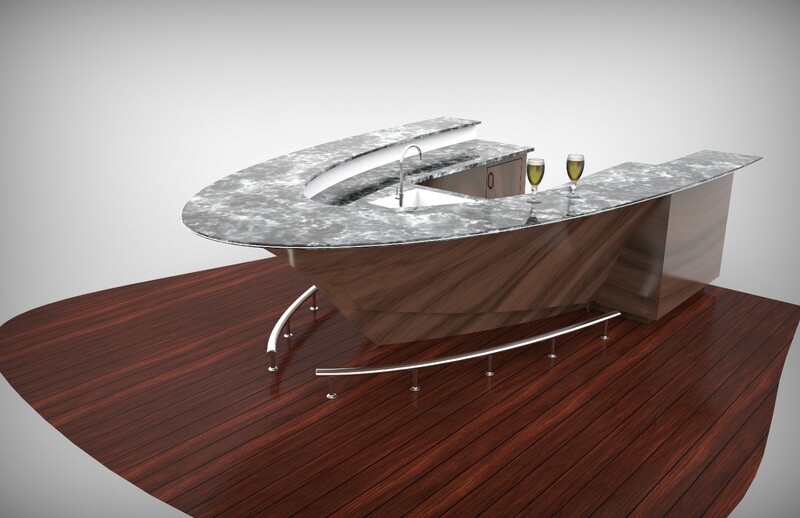 A custom home builder on the Outer Banks of North Carolina approached us about designing a granite-countertop mahogany "boat" bar for one of their dream homes. 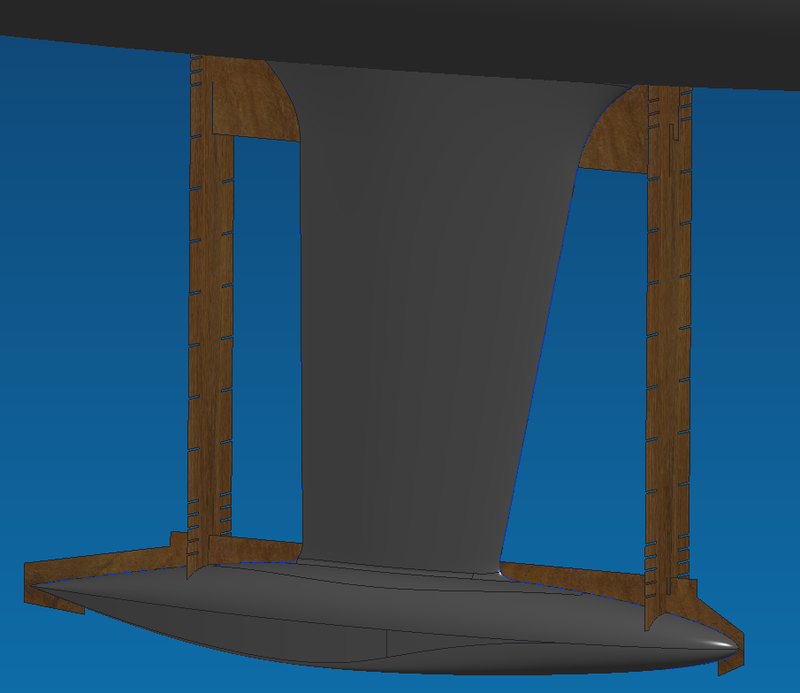 The result is rendered below. 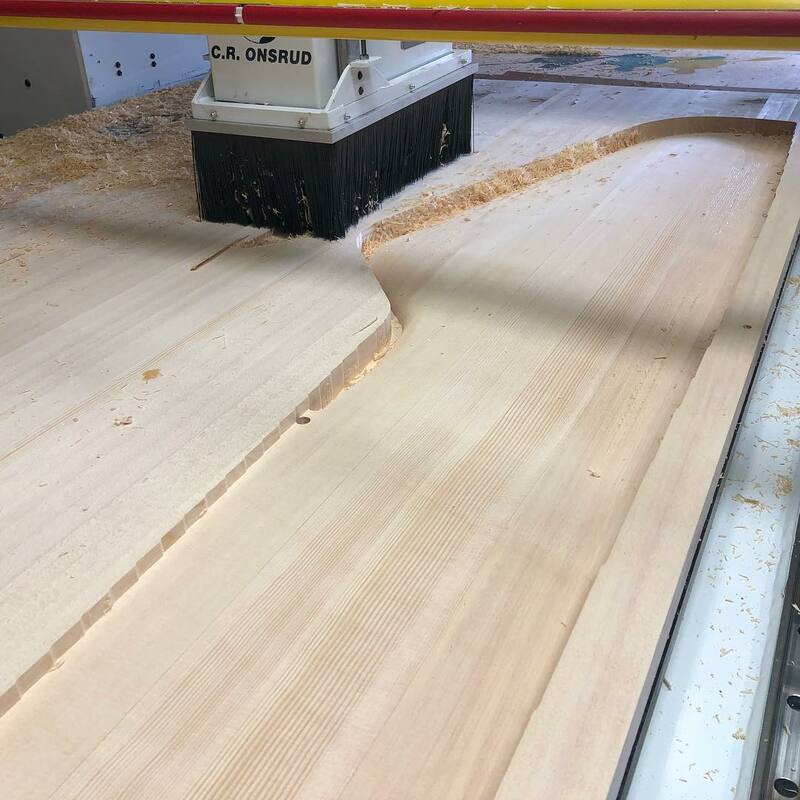 The client will be cutting the parts from our CNC files. 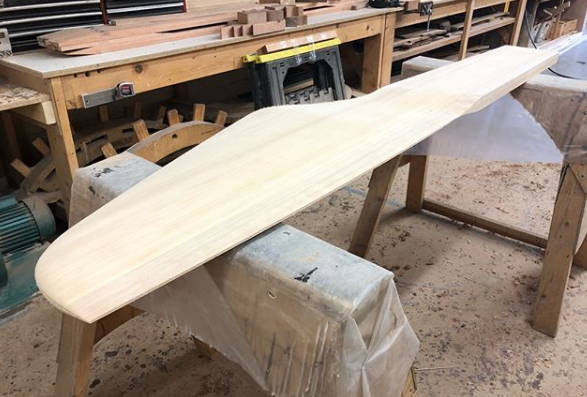 This new spruce NACA foil section rudder was precision-milled on our CNC machine for the Chesapeake Bay Log Canoe "Oliver's Gift." 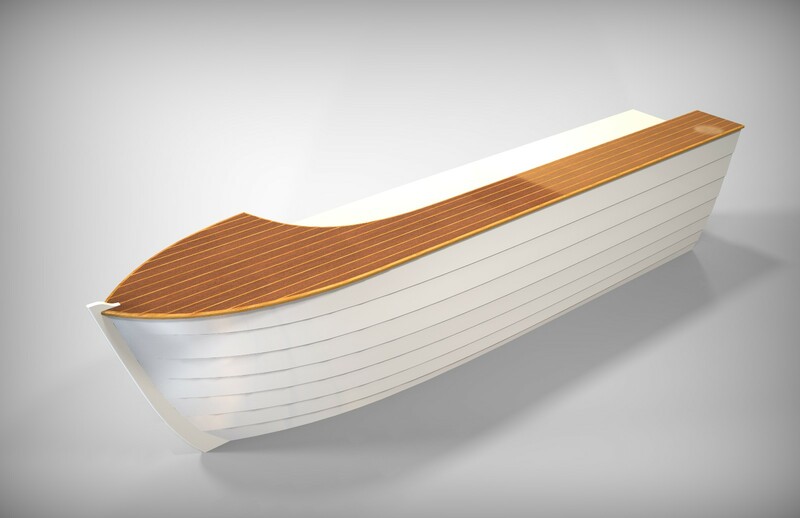 Among a number of fascinating projects, we CNC-machined molds and components for this 30-foot test hull for a foil-stabilized SWATCH hull. 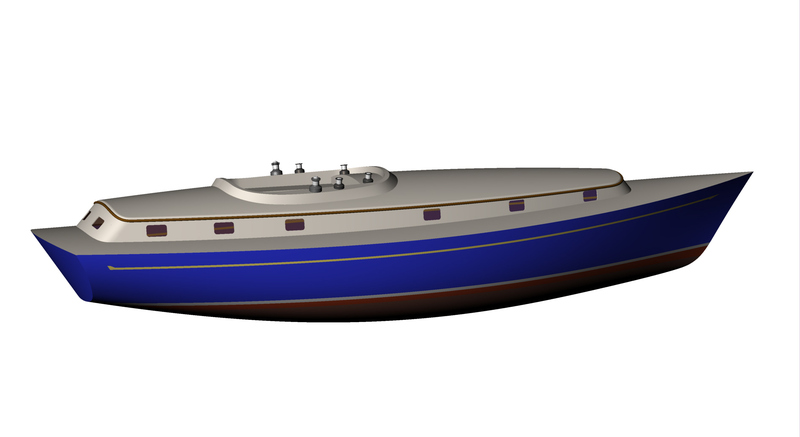 It was designed and built by Maritime Applied Physics Corporation. 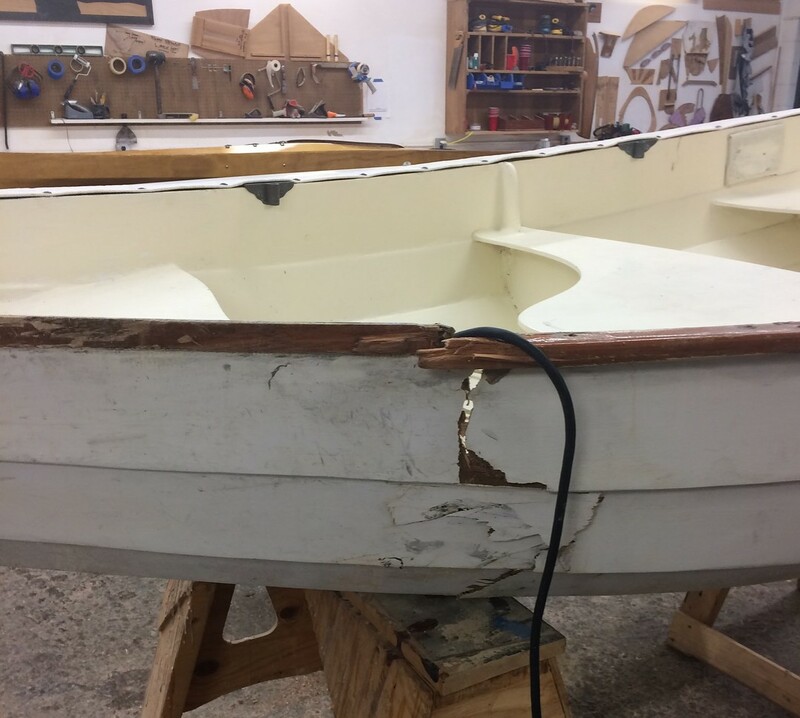 This Eastport Pram was crunched while up on davits. 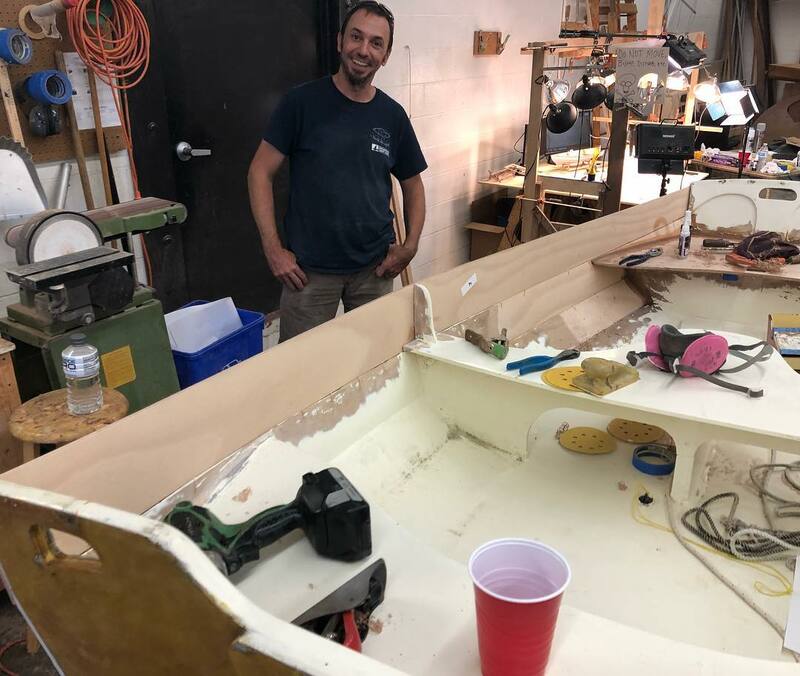 Travis is replacing sections of the hull and the front seat to get it back in shape. 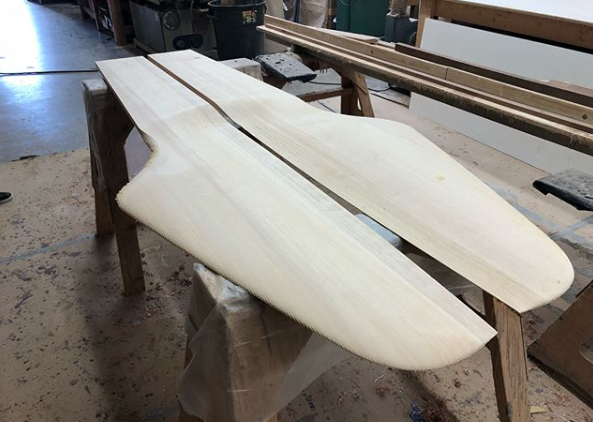 This broken Kaholo stand-up paddleboard was restored with a new deck panel section. 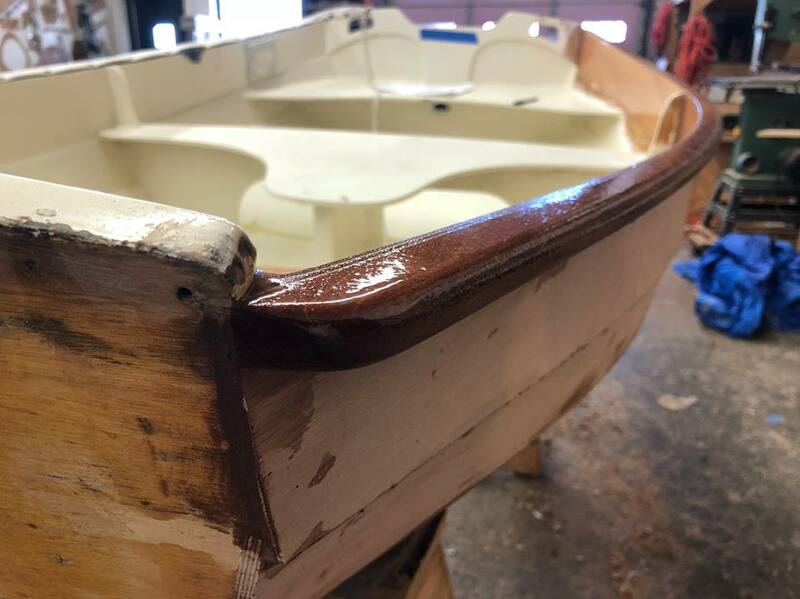 The customer chose to do their own refinish work. 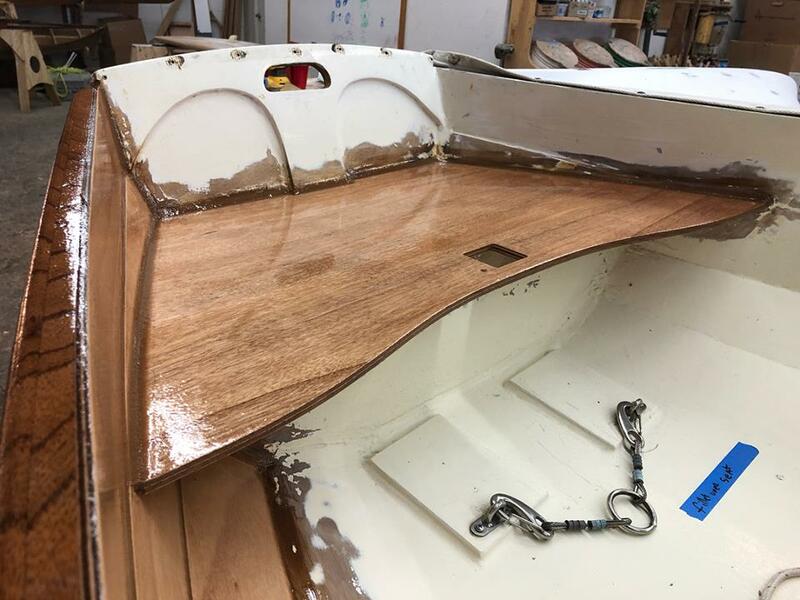 A replacement deck hatch on a 22' Shamrock center console powerboat. 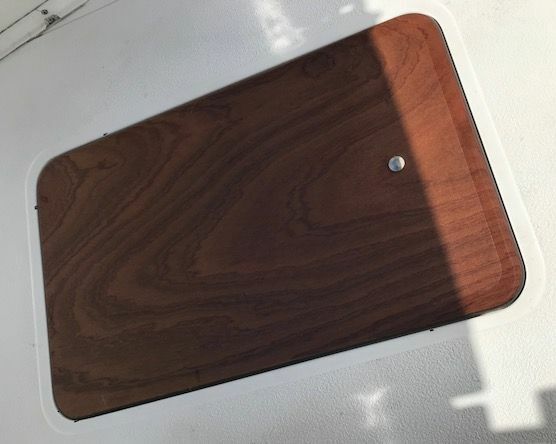 We chose a luxurious piece of Premium Sapele Marine Plywood. 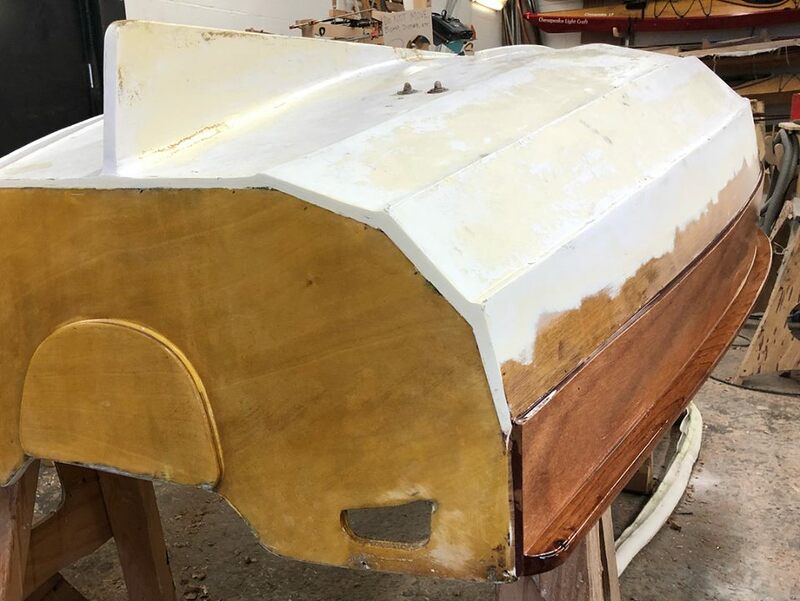 Using the fiberglass hatch as a template, we cut the new part, fiberglassed both sides, and varnished it. 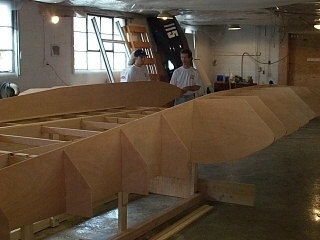 Note the nonskid added to the varnish. 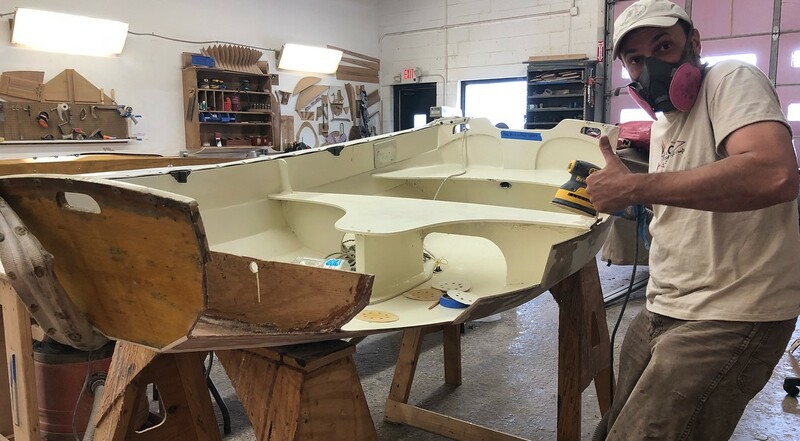 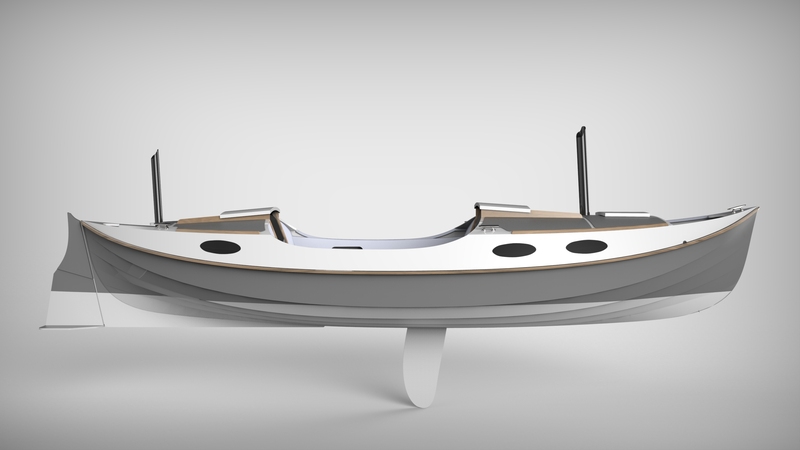 Working with Farr Yacht Design, we helped develop and fabricate a slot-together kit that can be shipped anywhere in the world to help fair racing keels and bulbs. 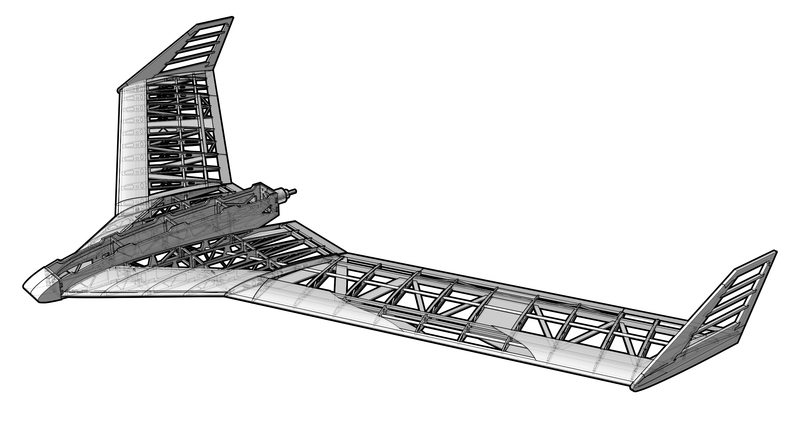 In this case, we started by cutting a laser-cut model as a test assembly, before cutting the full-scale kit. 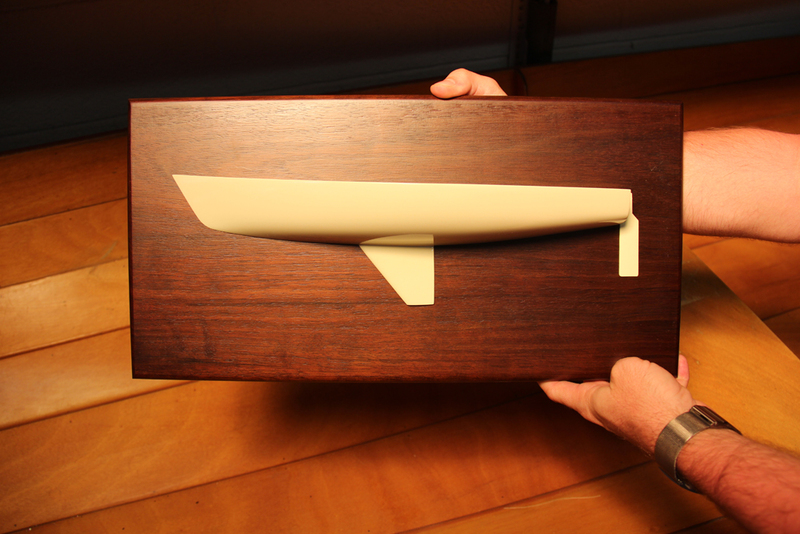 Working from authorized J/Boat drawings, we computer-machined, finished, and mounted accurate J-22 half-models for the J-22 North American regatta. 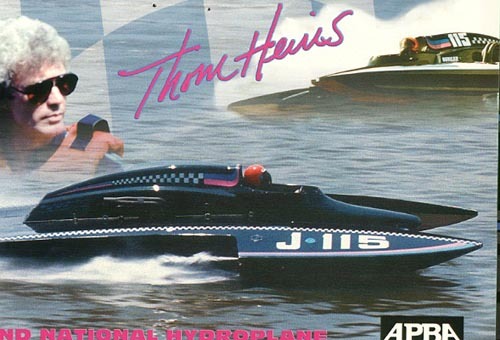 Our contribution to Thom Heins's Grand National Hydroplane campaign included CAD lofting services and CNC cutting of parts for "Miss MAS." 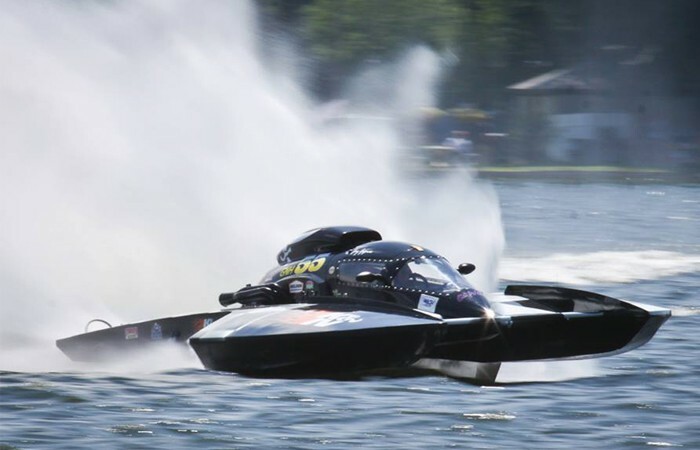 Successful on the race course, "Miss MAS" was powered with a 900+ horsepower NASCAR engine and was capable of speeds approaching 200mph. 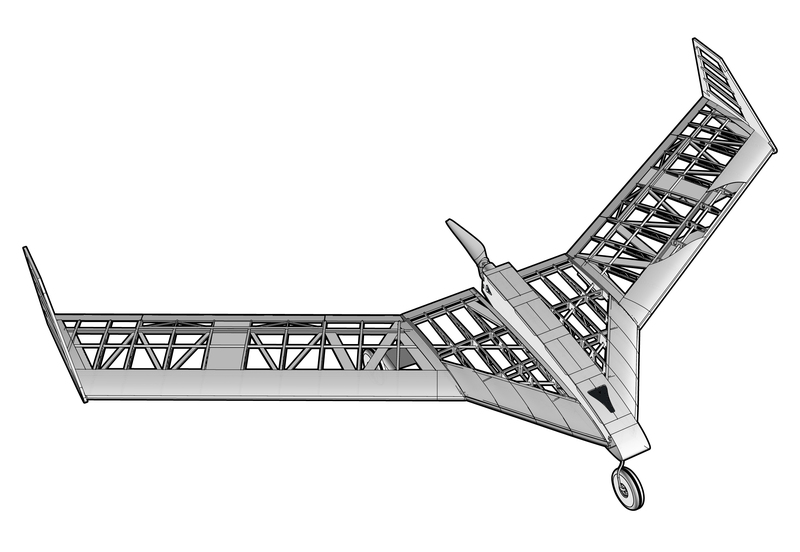 This 84-inch flying wing was designed by aviation buff John C. Harris, laser-cut here at CLC, and assembled by John. 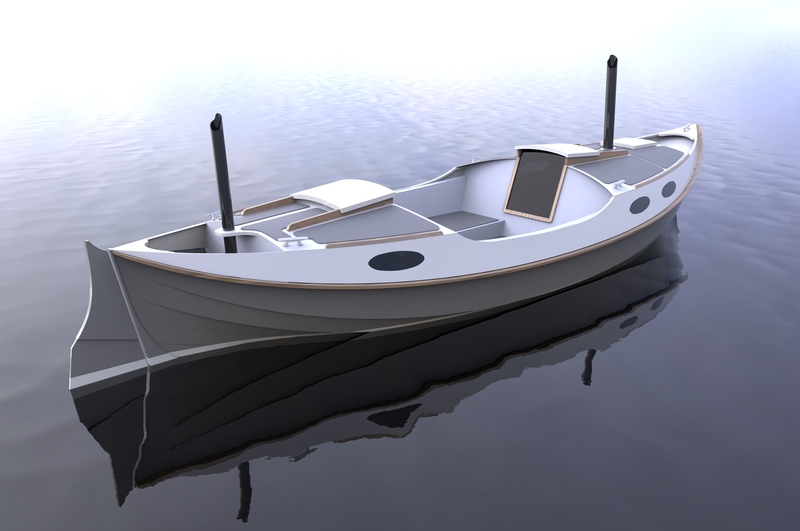 We designed and built this 13-foot centerboard sailing skiff for a private client to keep at his home on Martha's Vineyard. 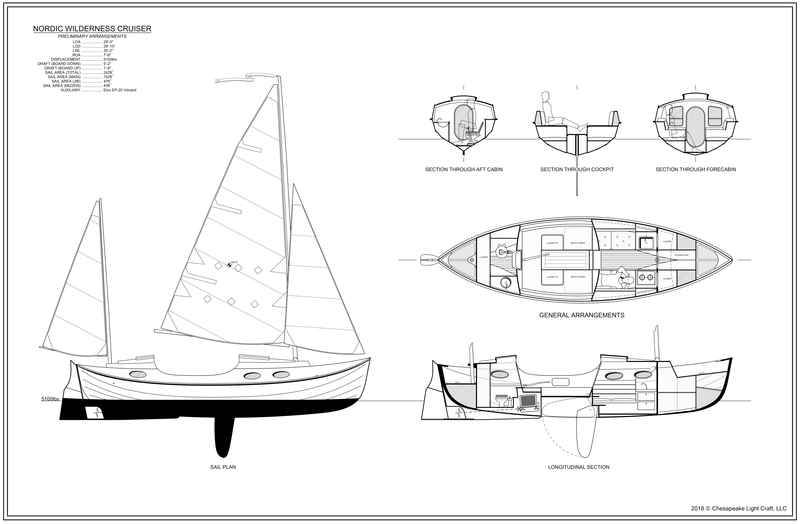 Rob Ladd designed this 41-foot cold-molded ketch, which was built in a suburban Maryland back yard. 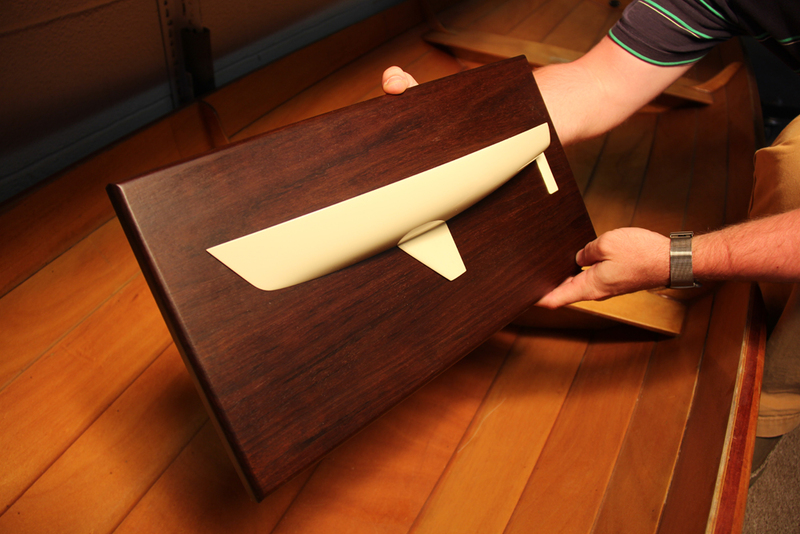 We handled CNC-cutting of the mold and componentry for the interior and deck, as well as supplying materials. 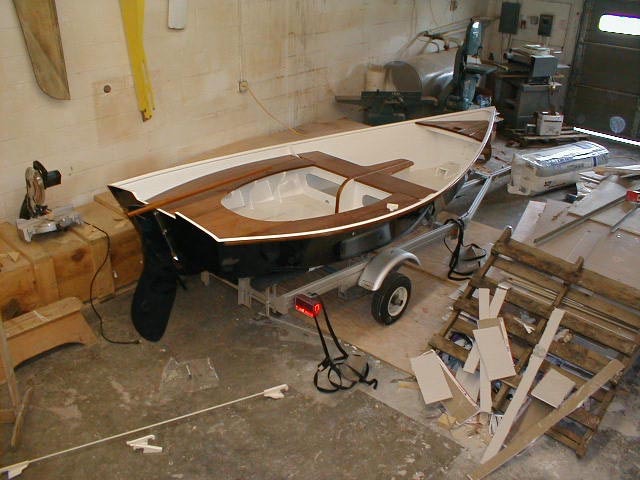 Working to an unusual commission from a private client, we designed and built this 22'6" rowing-sailing boat for solo coastal cruising. 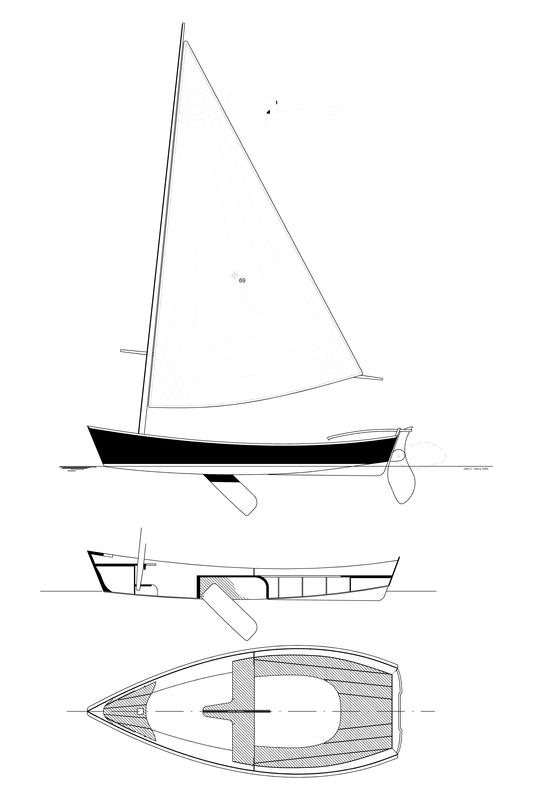 A client looking for a larger version of the "Faering Cruiser" commissioned this study for a 27-footer, which has yet to be built.